The International Register of Arms, 28th July 2015. Registration No. 0344 (Volume 2). 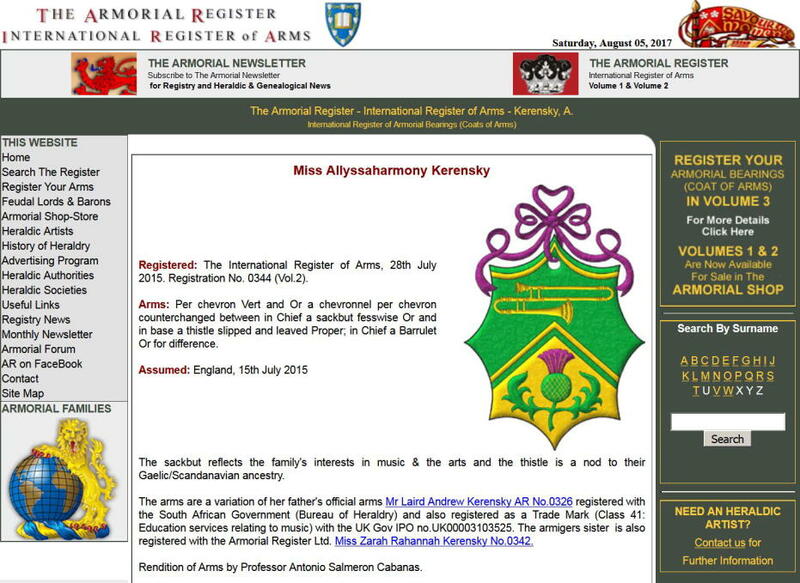 Allyssaharmony Kerensky at The Armorial Register. The International Register of Arms, 18th July 2015. Registration No. 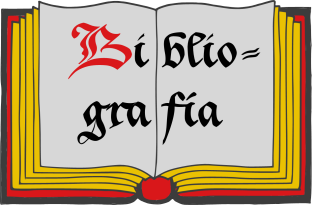 0342 (Volume 2). 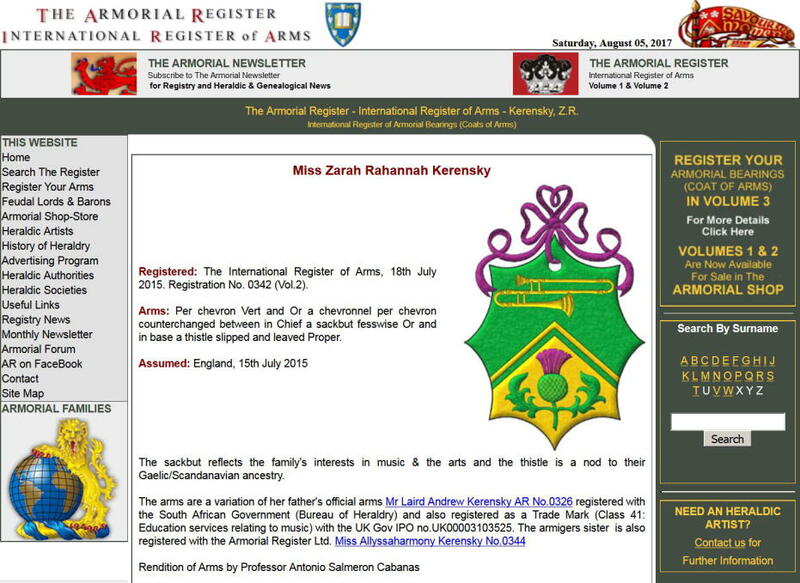 Zarah Rahannah Kerensky at The Armorial Register. 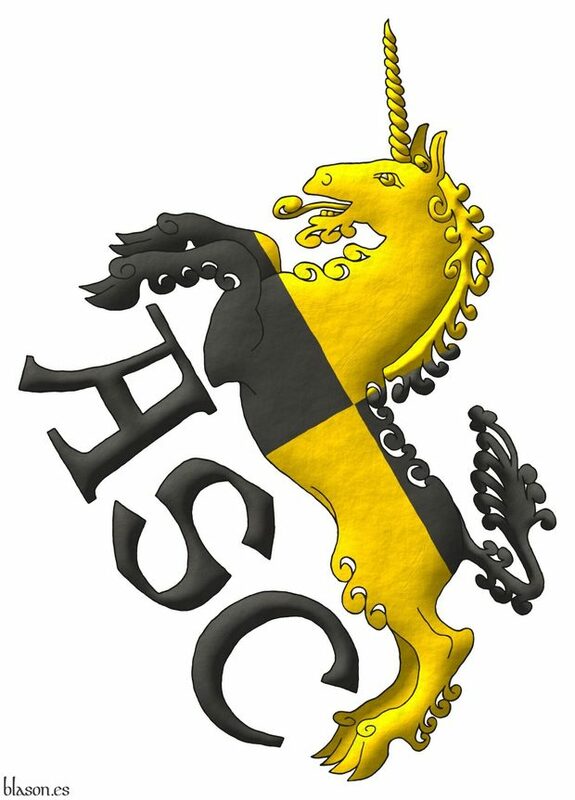 The Armorial Register is fully illustrated record of contemporary coats of arms, used internationally, it is permanently displayed on the website armorial-register.com and forms the basis of the series of books known as «The International Register of Arms». 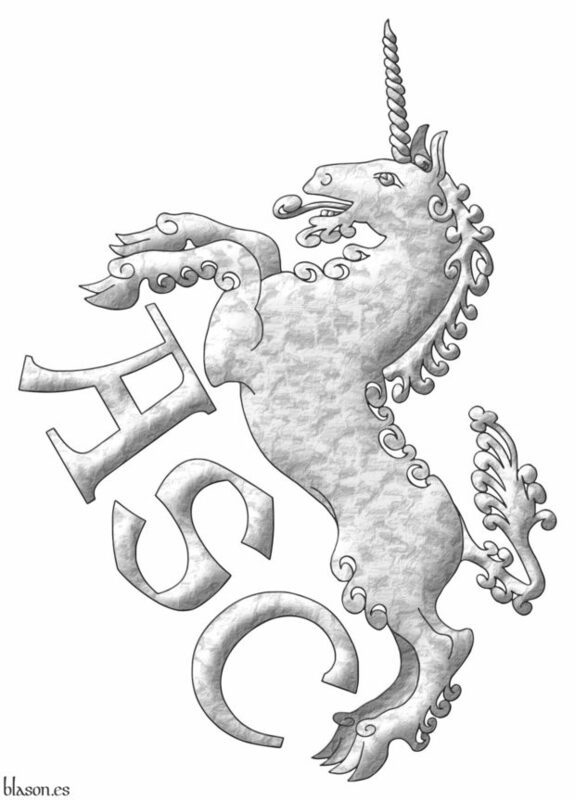 This register includes the rationale and history behind the use and design of featured coats of arms along with the family biographies of the bearers and its editor is Martin S.J. Goldstraw. Baron of Valdeolivos Emblematic Chair, of the Fernando el Católico Institution, of the Centre of Scientific Research (C. S. I. C.) y of the Excelentísima Diputación de Zaragoza, «Emblemata», Volume 13th, Emblemata Aragonesa de Emblemática Magazine (E. R. A. E.), 535 pages, ISSN 1137-1056, Legal deposit Z.3.937 1996, Printed by the Cooperativa de Artes Gráficas Librería General, Zaragoza, 2007. 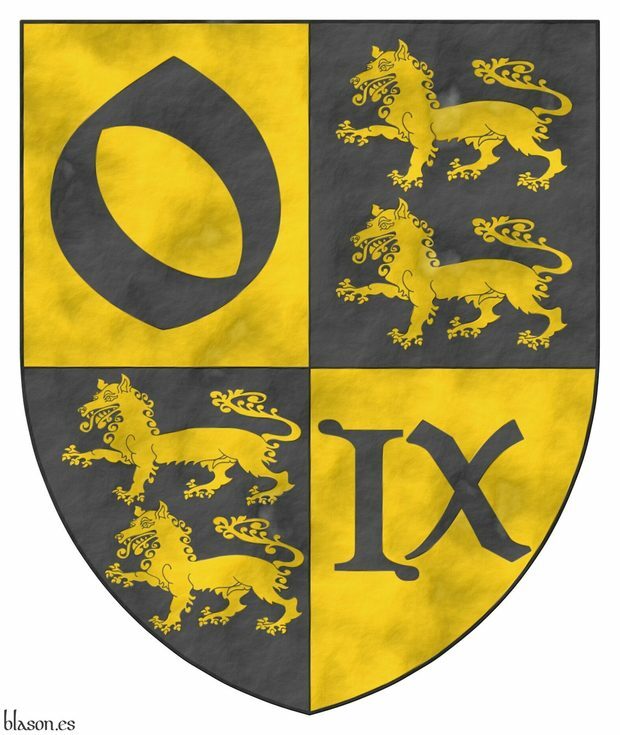 Disclaimer, Armorial roll, Bibliography, Legal notice, Castilian language, Magazine, Century XXI, Technology, The Armorial Register and Index.